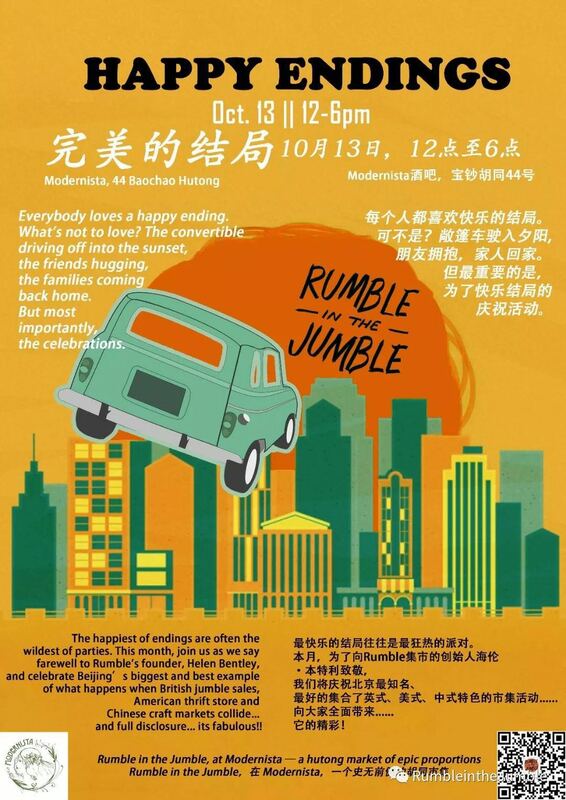 You are at:Home»Things to Do»Fall All Over These Events: Pizza Bonanza, Culture Bazaars, and More! If you enjoy waking to birdsong, need peace and quiet, want to take life at your own pace, or like sitting under trees on mountain peaks, this one is for you. Nature Hike Yoga is led by yoga therapist Yonnie Fung and Great Wall trekking expert Richard Fairbrother. Adults. Contact Yannie (WeChat ID: yoga_with-yonnie) for information and pricing. From 7am. The Great Wall. The German Chamber of Commerce in China – North China organizes a monthly regulars’ table for young professionals, interns, students and trainees in Beijing. 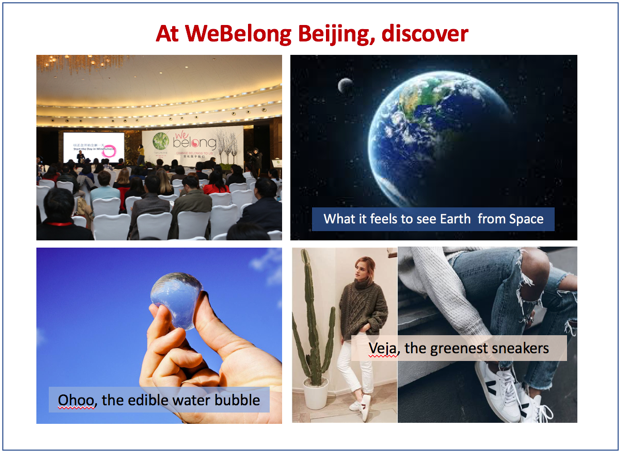 The purpose of this event is to provide a casual networking platform for the young and future business community in Beijing – across different professional backgrounds and nationalities. This gathering’s character is very informal and laid-back, and the attendees will not only profit from expanding their professional network but at the same time mingle with like-minded people and make new friends. Ages 20+. Free admission (RSVP here). 7-10pm. Arrow Factory Brewing, Liangmahe South Rd. 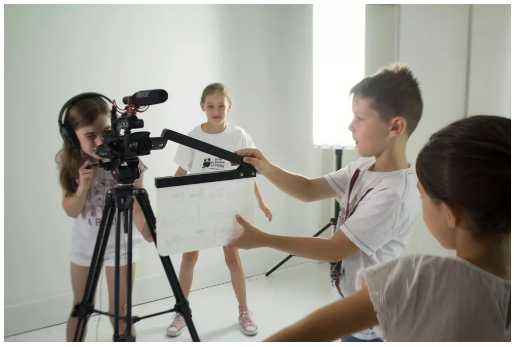 WeBelong is a 2-day event that encourages everyone to consume more conscientiously and helps to encourage a change of behavior in everyone. The event welcomes CEOs, start-ups, artists, innovators, and others in a unique exchange framework specifically designed to inspire. Find out more about the speakers or register here. Adults. 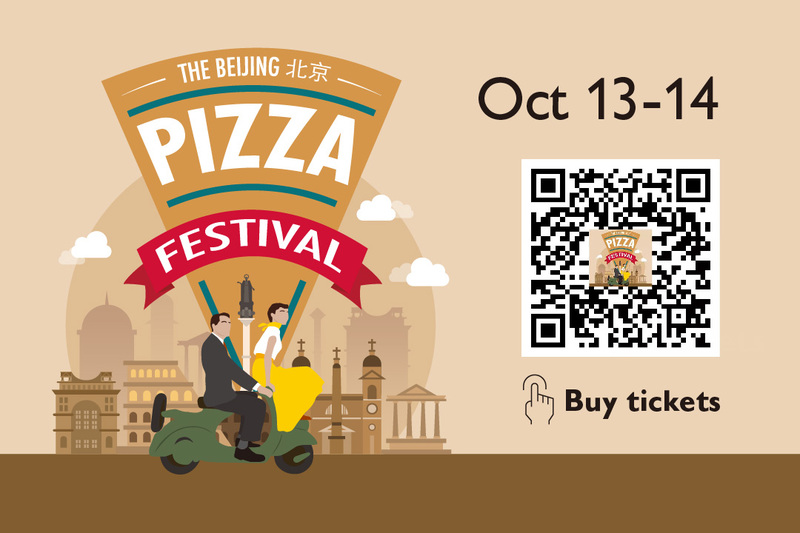 RMB 350 (one day pass), RMB 650 (two-day pass). 8.30am-6pm. Chao Hotel. Marriage, dating, and even friendships can be complicated. Disappointment is part of the process, however many of us get stuck in the hurt instead of working to overcome the pain. 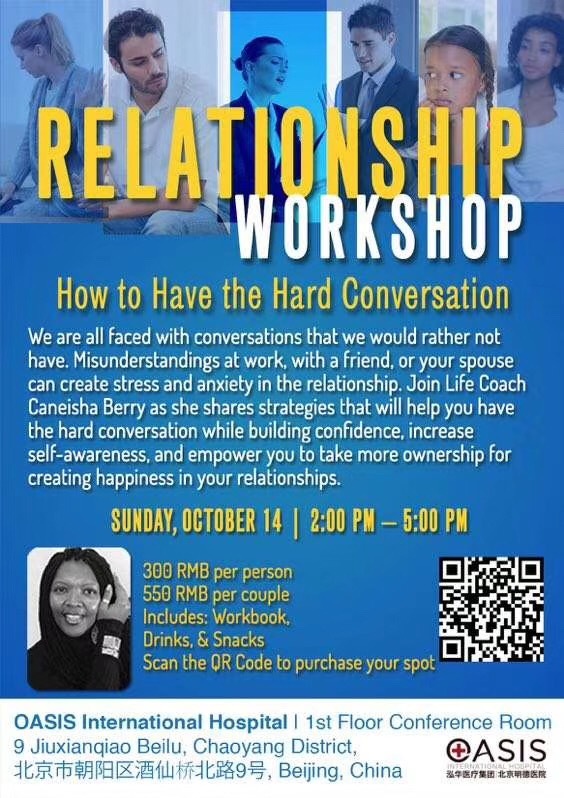 Join relationship life coach Caneisha Berry in this workshop as she shares tips, tools, and strategies on how to overcome disappointment and begin to restore any relationship. Adults. RMB 300, RMB 550 (couple). For more information or to register, visit this page. 2-5pm. OASIS International Hospital.